What’s the world’s oldest baby game? Peek-A-You guessed it! The Bright Starts Playful Paw’s Storytime Set puts a new spin on the timeless game by bringing it to life with bright yellow paws. You’ve never played Peek-a-Boo with baby like this before. Crinkle, rattle, flip, flop and grin along with your little one as she pages through her plush baby book. Then surprise her with giggles… and not just her own. Push the button on the hand puppet glove and listen to the laughter it plays! Jump from page-to-page with this toy set and discover new characters, noises and textures with baby. 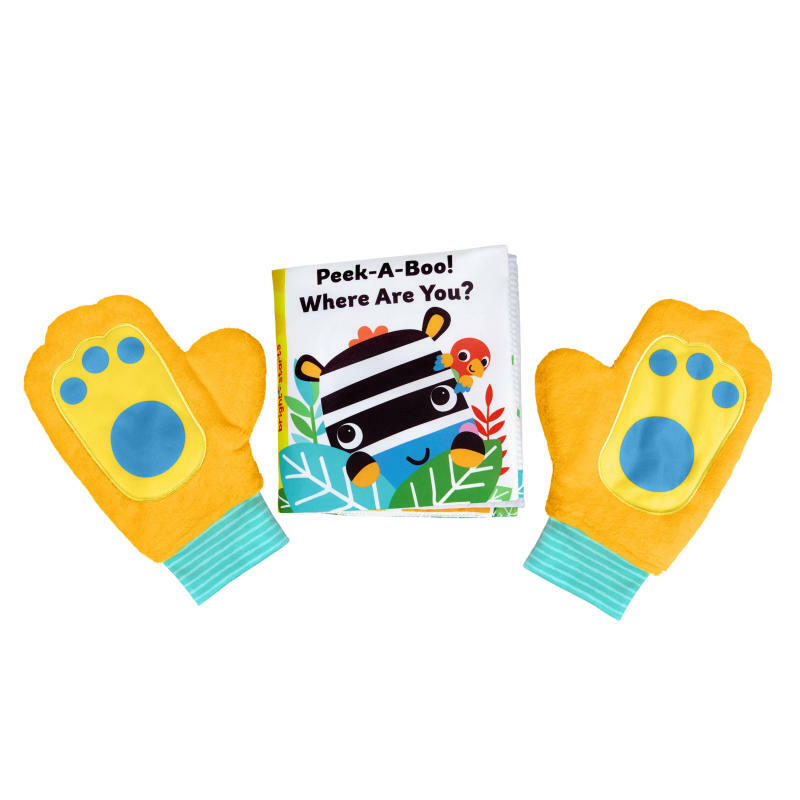 With the sound of your little one’s he-he-hes and ha-ha-has, it’ll be hard to hide behind these fun peek-a-boo gloves! Dimension (in) 1.5" x 8.7" x 10"
Gloves: Wipe clean with damp cloth and mild soap. Do not immerse in water.